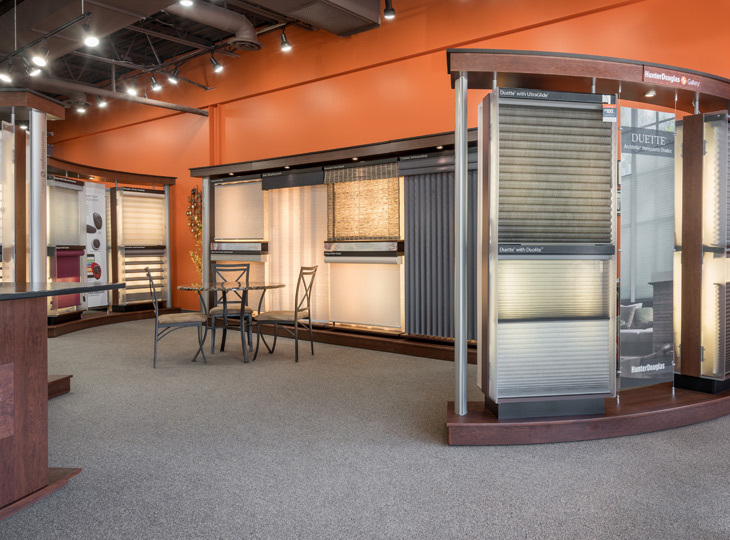 From the beautiful fabric folds of roman shades, to the soft, filtered light of sheer shades, the selection is vast! 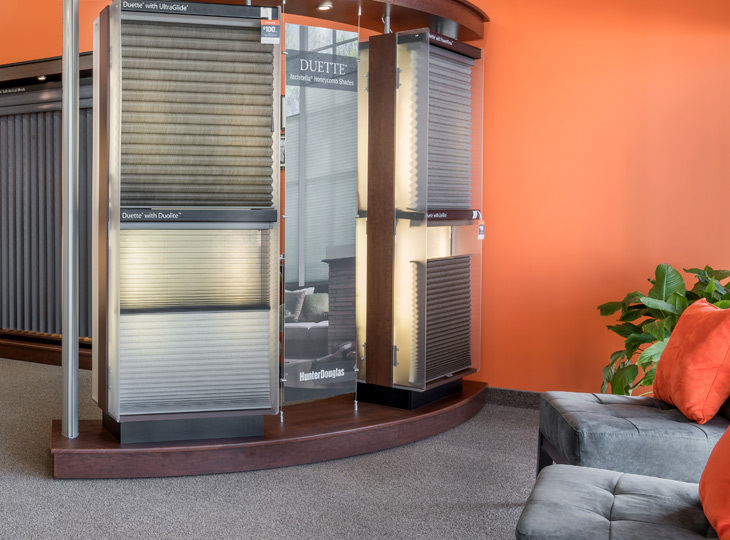 Choose from favorite features for your Hunter Douglas shades. Top down bottom up shades offer daylighting and privacy, while motorized blinds bring convenience and innovation into your St Paul area home. 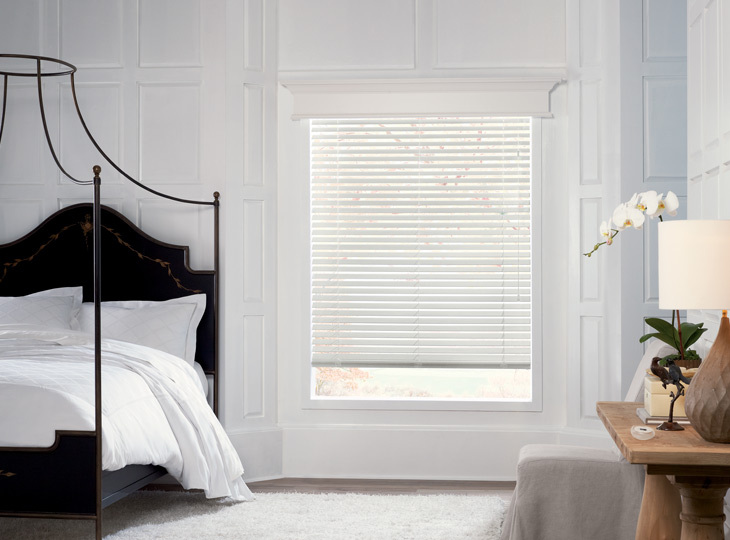 Hunter Douglas blinds are a beautiful, and affordable, way to outfit the windows in your Minneapolis St Paul area home. Choose from the classic look of real wood blinds, to the chic styling of faux wood blinds. 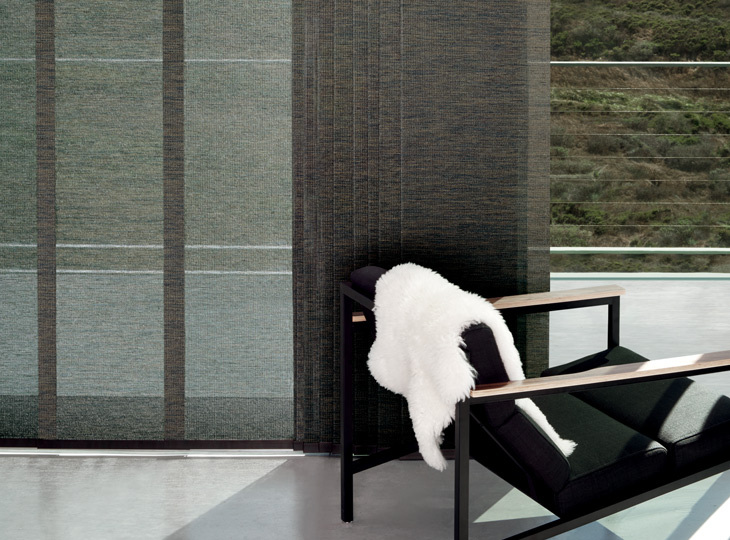 And, for contemporary appeal, we offer aluminum blinds in a range of colors and finishes. 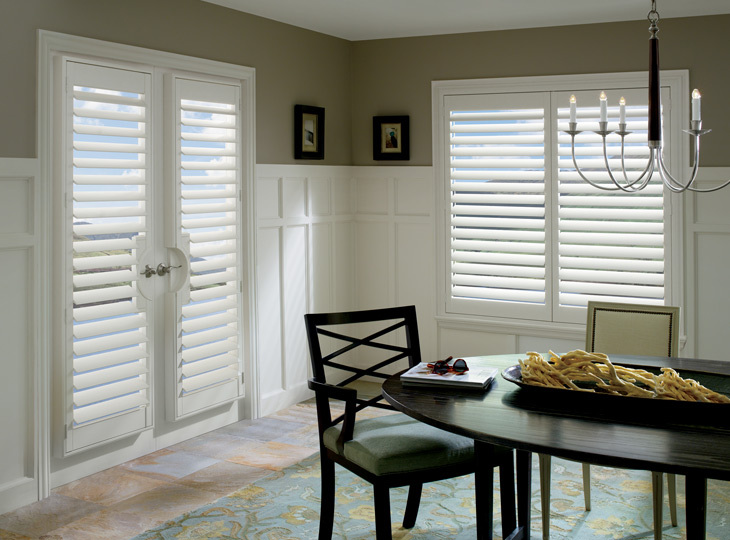 The dynamic beauty of plantation shutters will transform your home. 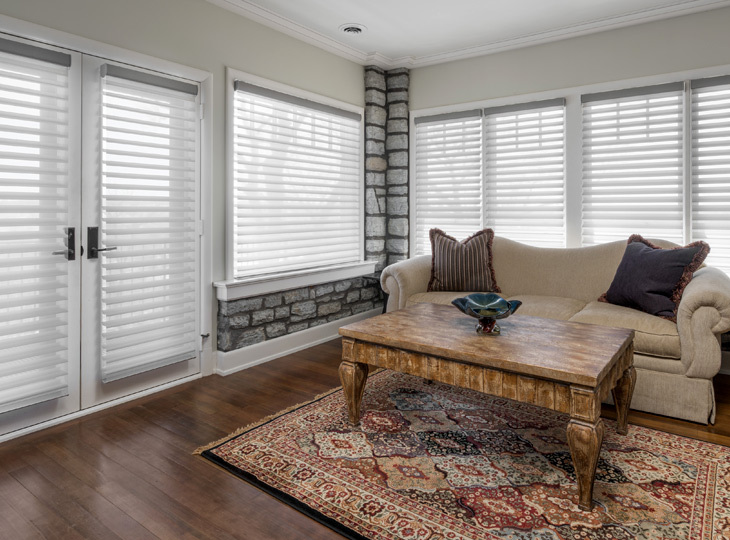 Whether you want real wood shutters, or simply faux wood ones that will stand the test of time, we can help! 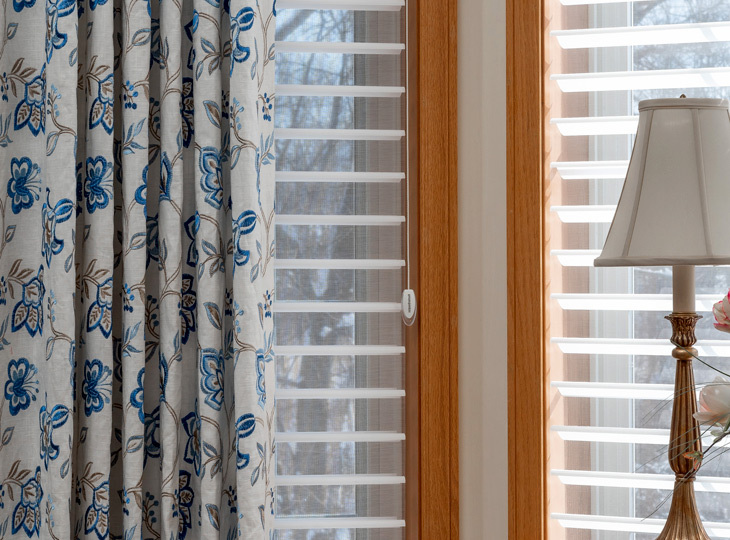 Our Hunter Douglas shutters feature the latest innovations, like voice control and remote tilt. The doors leading to your patio space–those are high traffic doors. You need a sensible solution that also offers gorgeous styling. 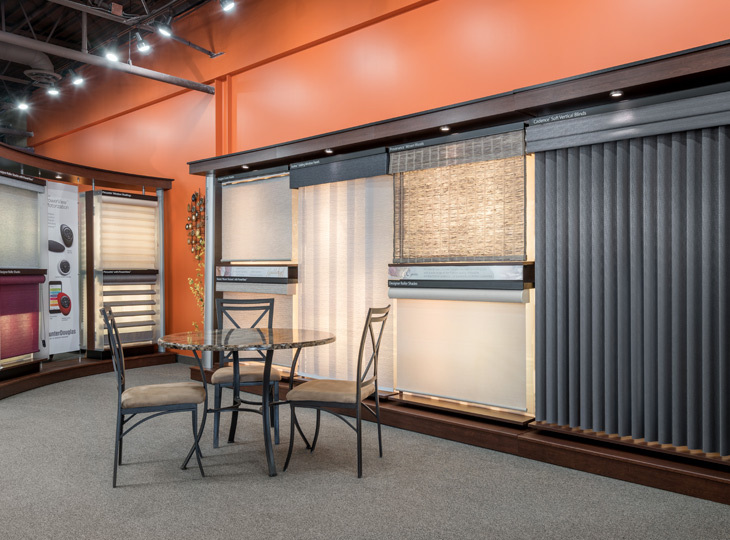 From vertical blinds of fabric or vinyl, to the contemporary appeal of drapery-like folds that operate like shades, we have it all! 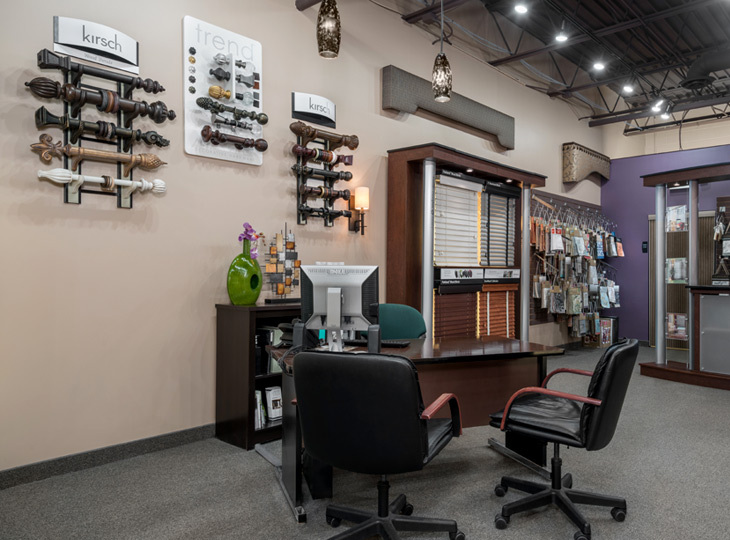 Personalize the look and feel of your home with custom window treatments. Our drapery panels and top treatments use the finest fabrics in stylish colors, textures and styles. 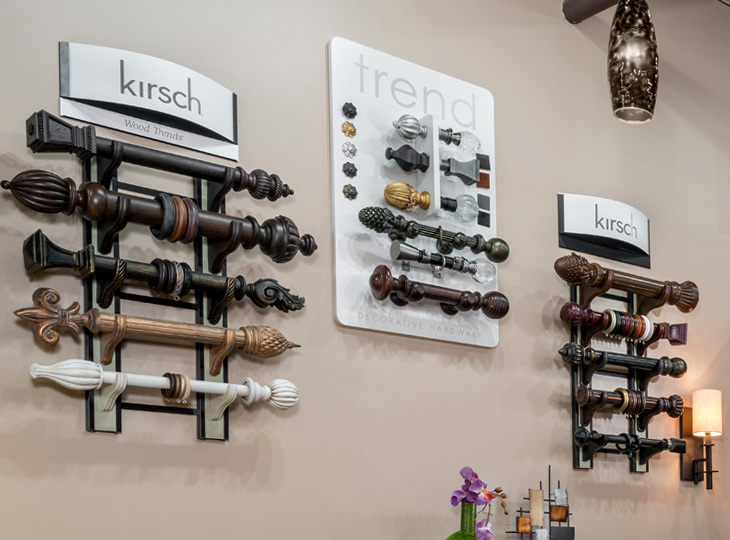 We have a wide selection of hardware to choose from, whether you love wooden rods with detailed finials, or the sleek look of modern rods. Hold the atmosphere in the palm of your hand. Control your motorized blinds from the sleek Pebble remote. Use the PowerView app to set scenes. Trigger Alexa to adjust the shades open when you arrive home. It seems like a dream, but it can be your reality! I have used the services of Aero Drapery & Blind for the past 20 years, over several new-house builds. That alone should speak for my satisfaction with their services, design advice & superb installation work. Debbie Miller of Aero Drapery has been so helpful to me over the years! She’s suggested drapes and rods that are perfect for my home and budget. I highly recommend her and everyone at Aero! 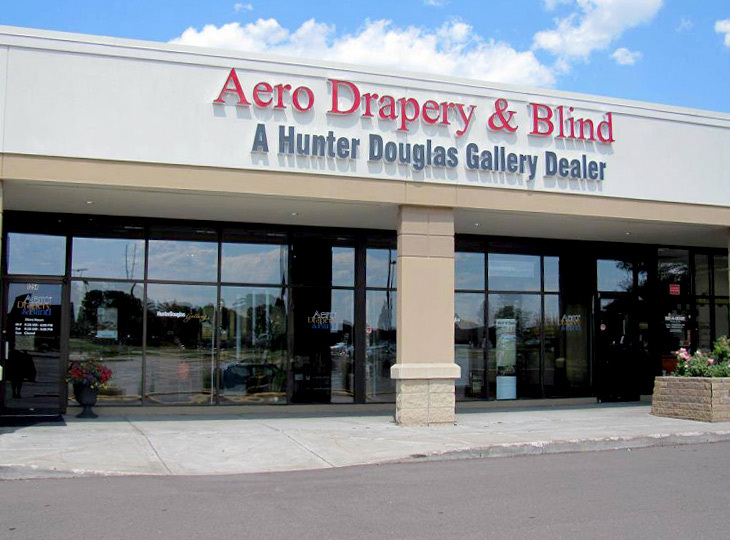 Aero Drapery & Blind provides the highest level of customer service you can find. 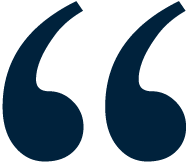 Their decorating consultants are sharp, knowledgeable and patient as they help you decide what is the right product for you. I have worked with Anna on two occasions and both times her level of expertise and service was absolutely excellent. She helped my husband and I choose window coverings for two of our homes. I worked with Debbie Miller on putting Silhouette blinds throughout my home. She was very professional, thoughtful & wanted to make sure that I got what I wanted, not only what she thought was best. I worked with Diane Hallbeck from Aero on getting blinds for my new condo. I didn’t know blinds could be so cool really. These guys have a huge selection and found me an option I could afford.